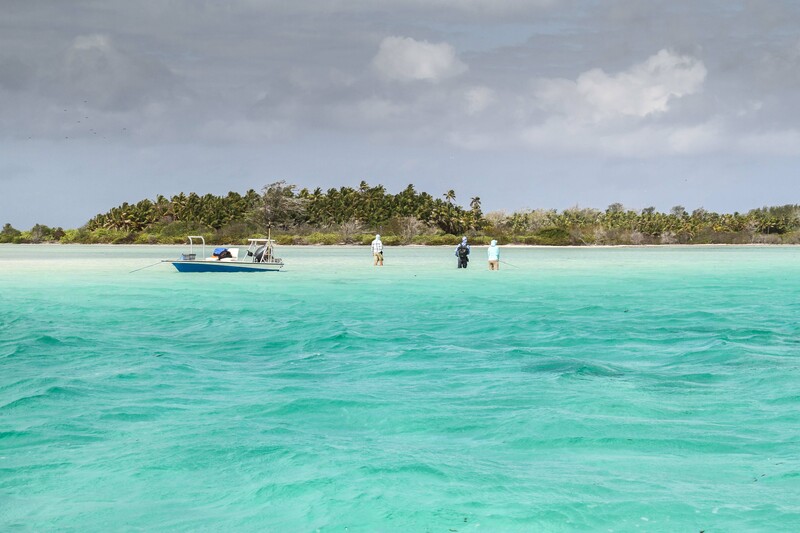 A new week started in an almost déjà vu manner as we watched a full complement of guests being engulfed by the beauty of the palm trees, white sand and aqua colored water that surrounds and cover this remote tropical paradise. 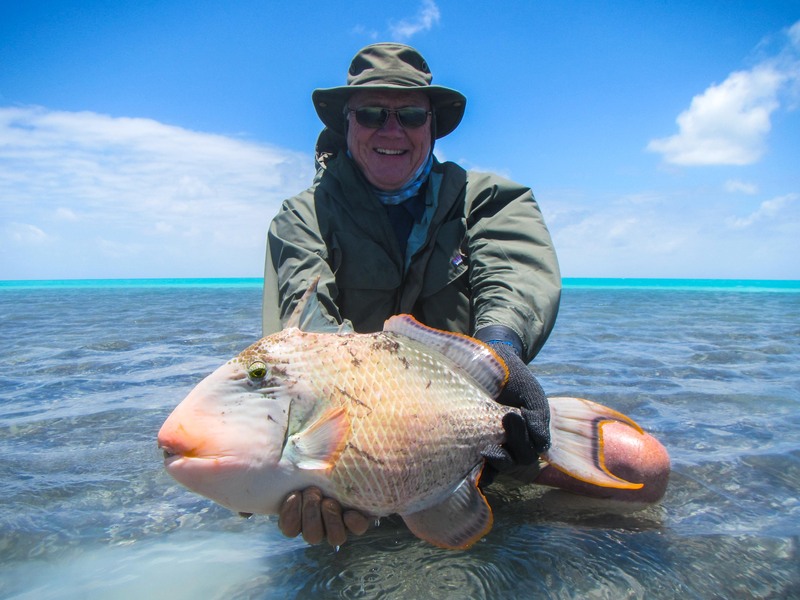 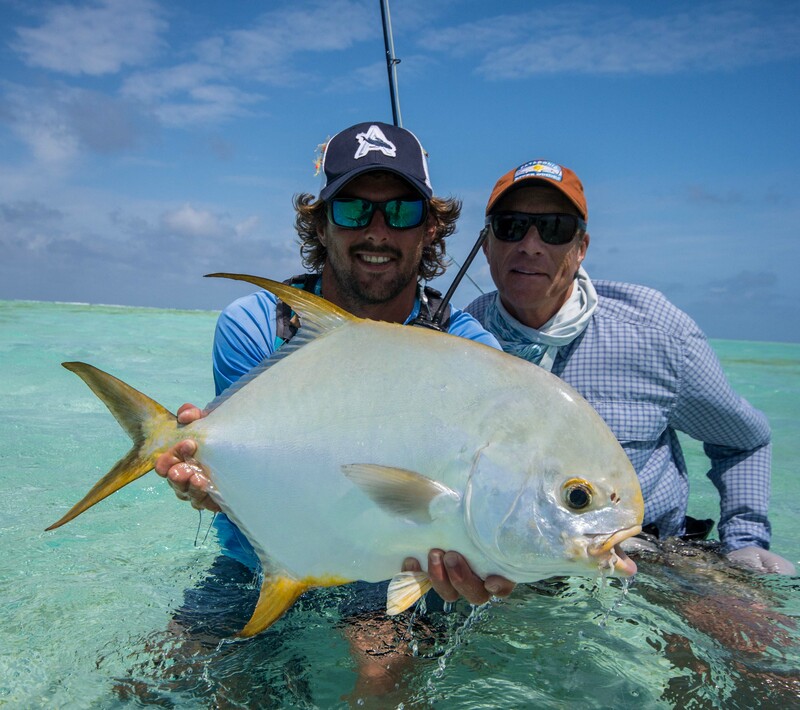 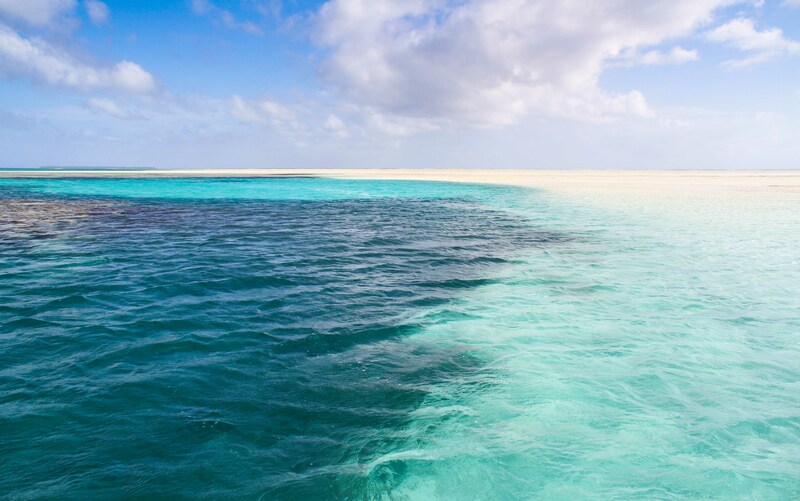 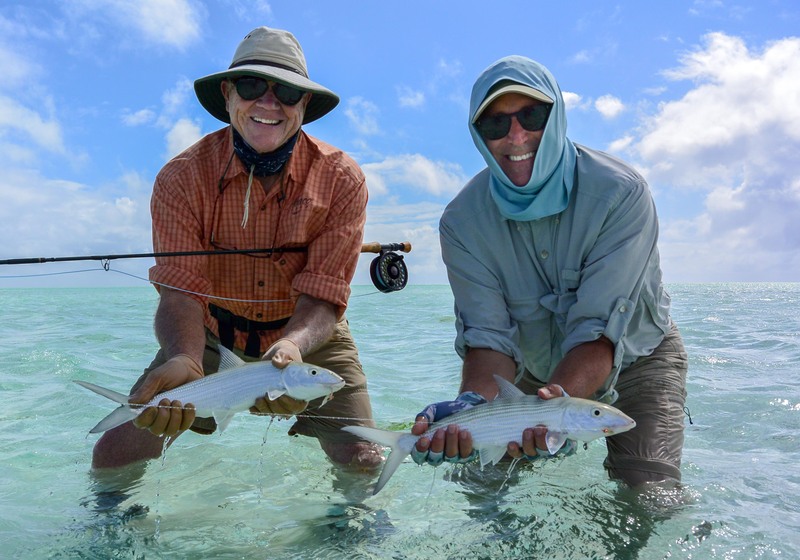 The week flexed off with relatively slow tides giving our team considerable amounts of time to target the finger flats that make St Francois such a great triggerfish destination. 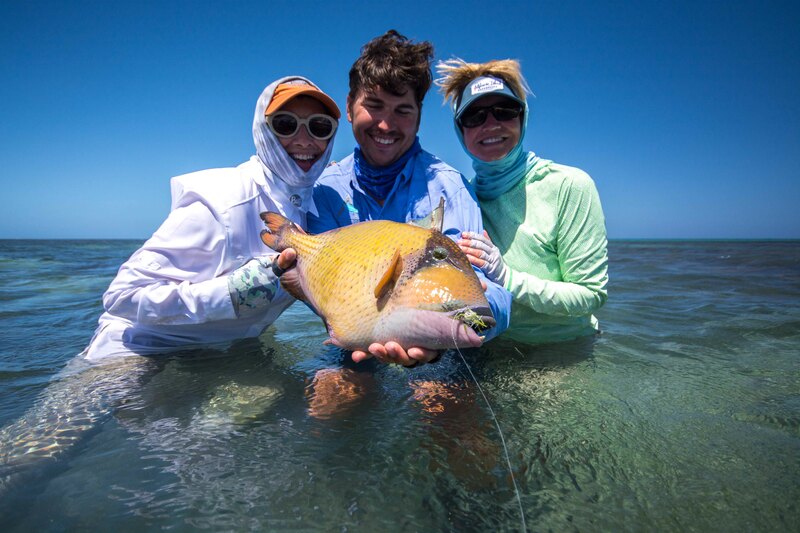 The best opportunity for anglers catching one of the three different triggerfish will be found at the commonly known spots of “Fields of Gold, Topsticks, and Crossroads.” These guys are by far the most interesting species that can be caught, with clown-like features and the attitude of a hungry lion. 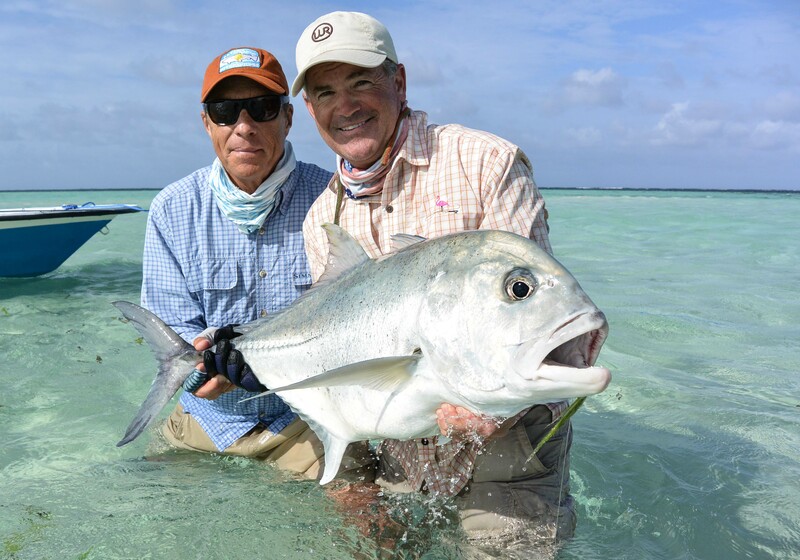 Something interesting always happens, whether it’s how the fish behaves or the guide having to swim him out of a corral hole. 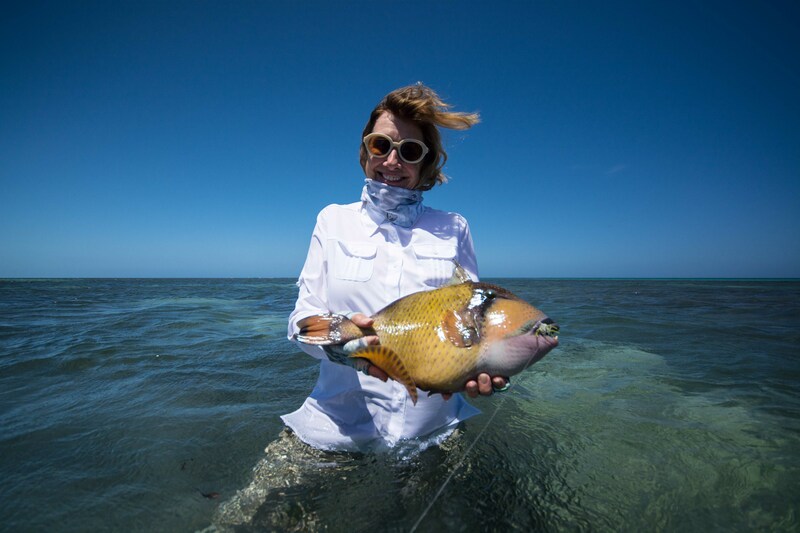 Judy Siebel was the first to convince one of these guys that her Alphlexo was the real thing and touched her very first moustache triggerfish. 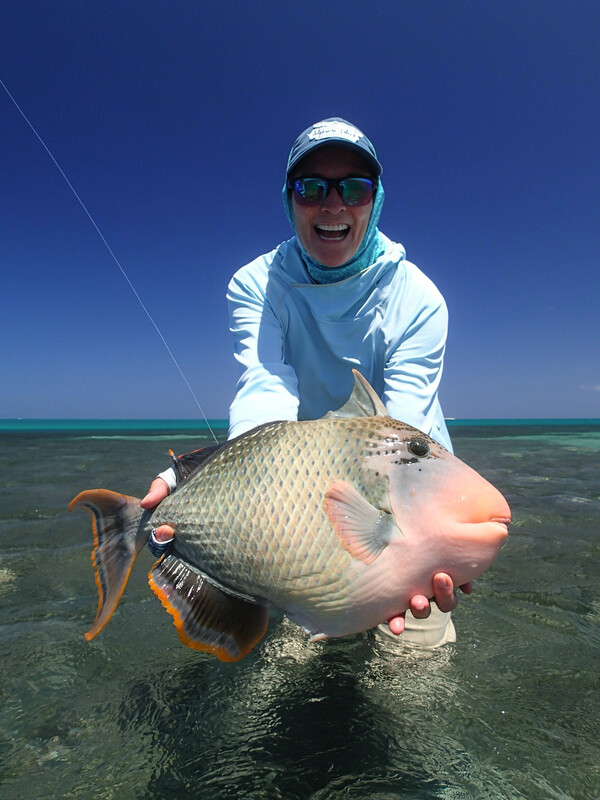 Barbie managed to sink another one for the ladies with a massive 8lbs yellow-margin. 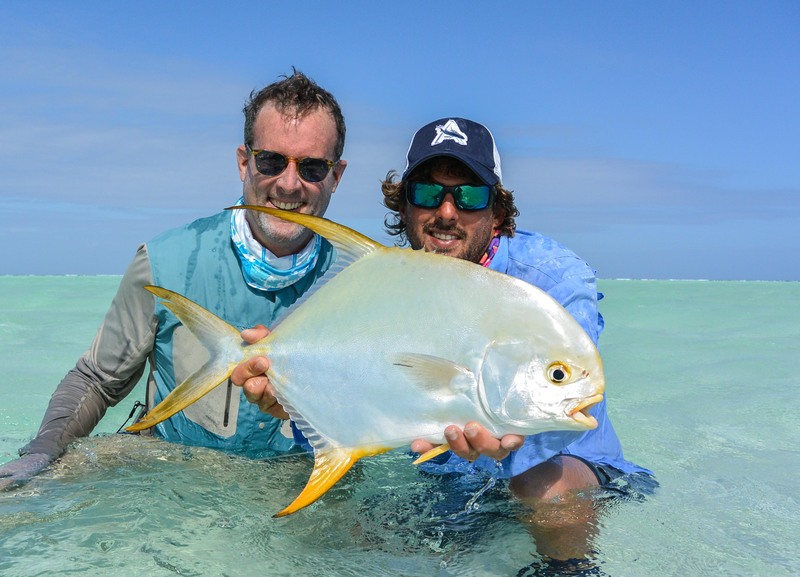 Tom Hyde managed to bring one back for the men with a magnificent yellow margin trigger, which involved the guide donning his gloves and diving the fish out. 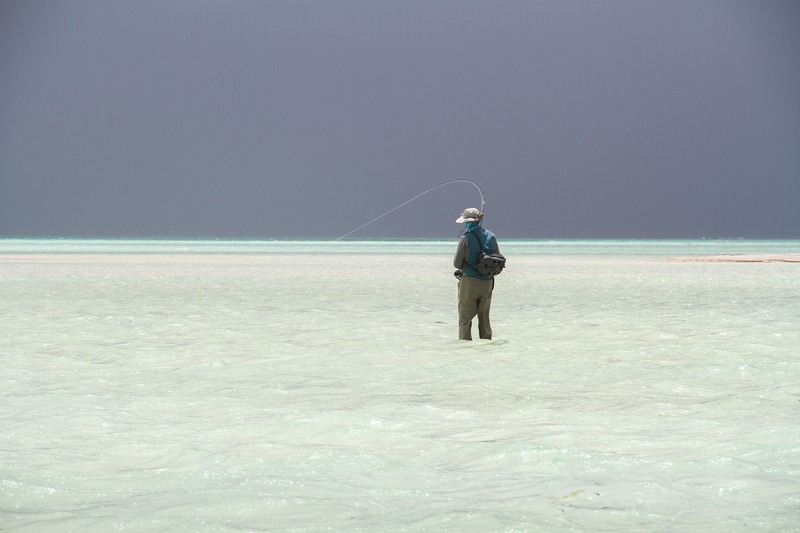 Tricky overcast and windy weather conditions did put the cards at play, though as always looking at the positives of every situation, this allowed for the water to remain cooler throughout each day. 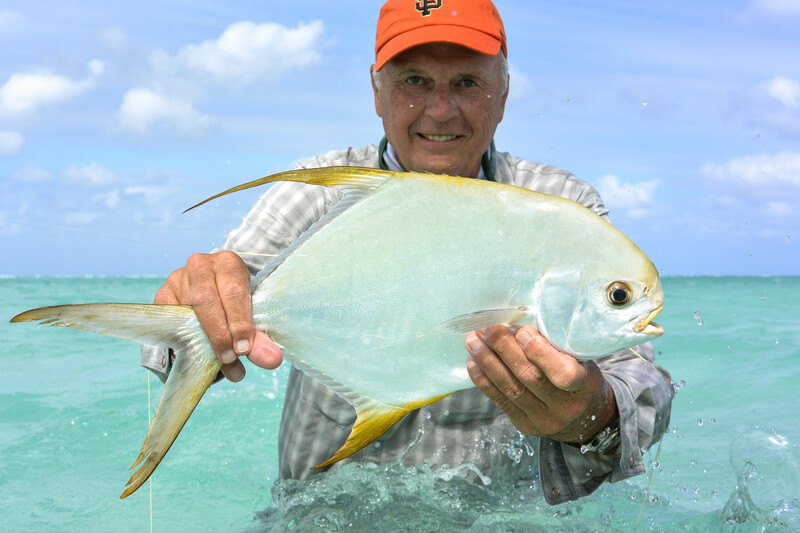 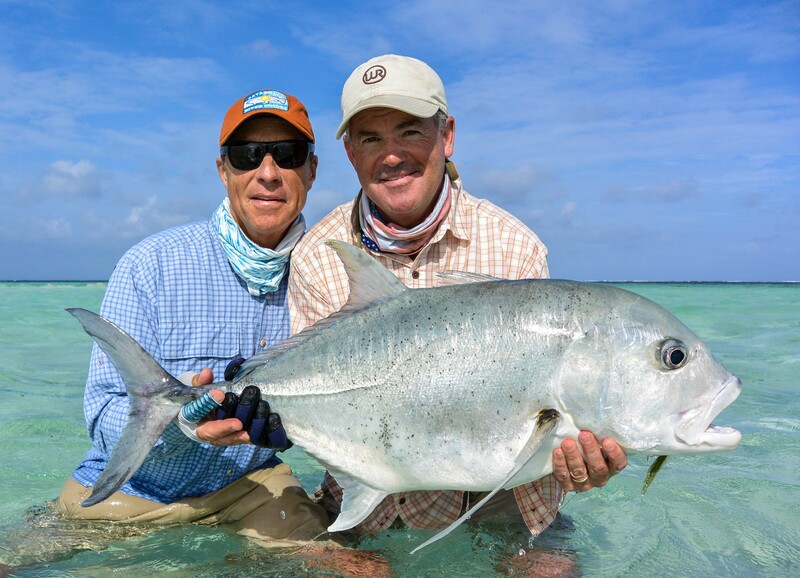 We all know bad weather and cool water can entice a hungry permit and that it did! 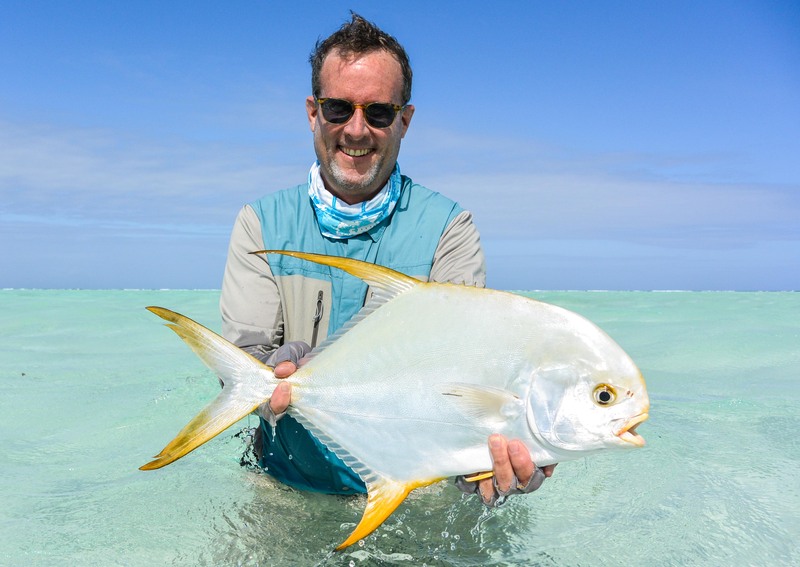 Michael John was the first to get his hands on a gorgeous Indo-Pacific permits’ iridescent gold flanks and electric yellow accents. 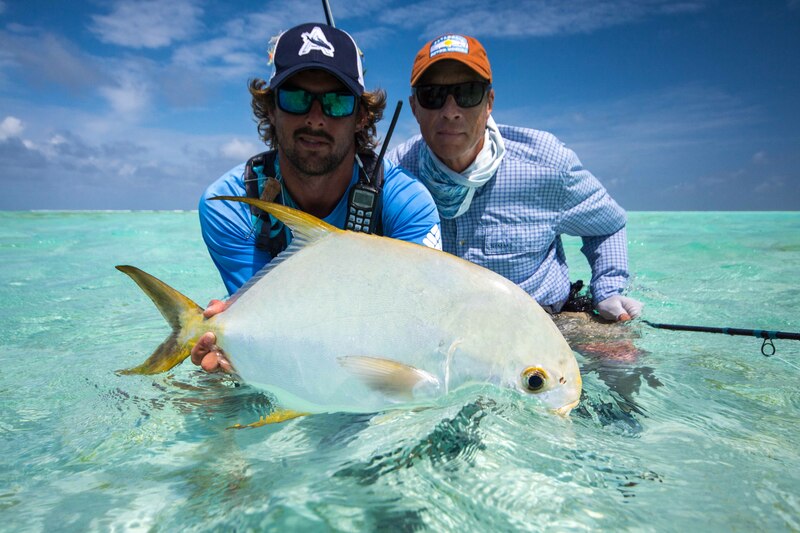 Soon after, Blake Quinn followed suite, with another fin perfect permit. 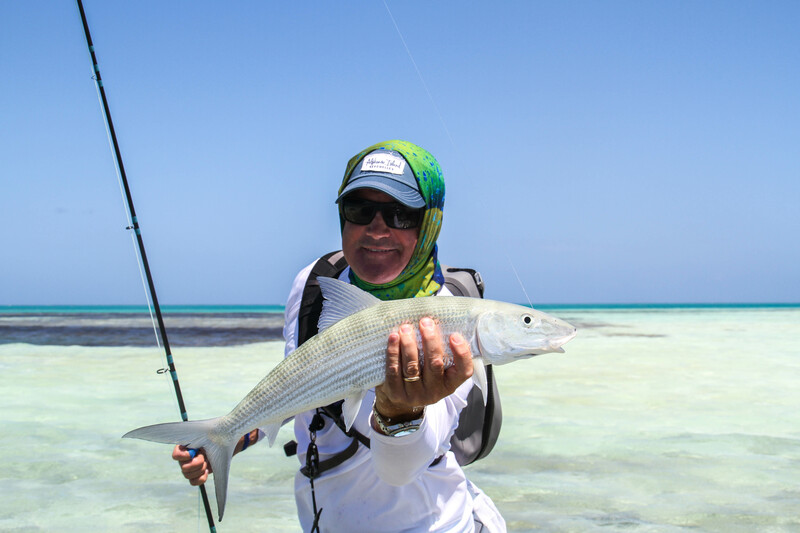 To top the week off on the last day Ken Siebel managed to bring one to the net after having the hook pull on his first fish a few minutes earlier. 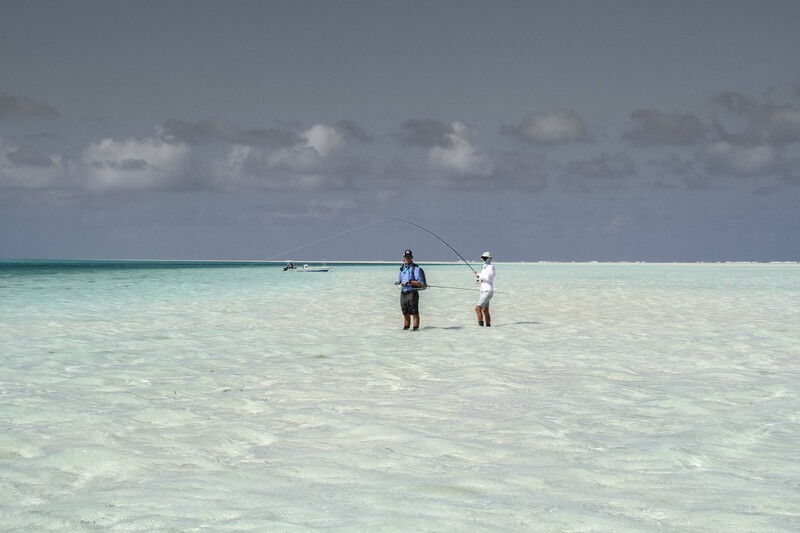 On the GT front, there were many fish seen but the tricky weather made casting a 12 weight difficult and impossible at times. 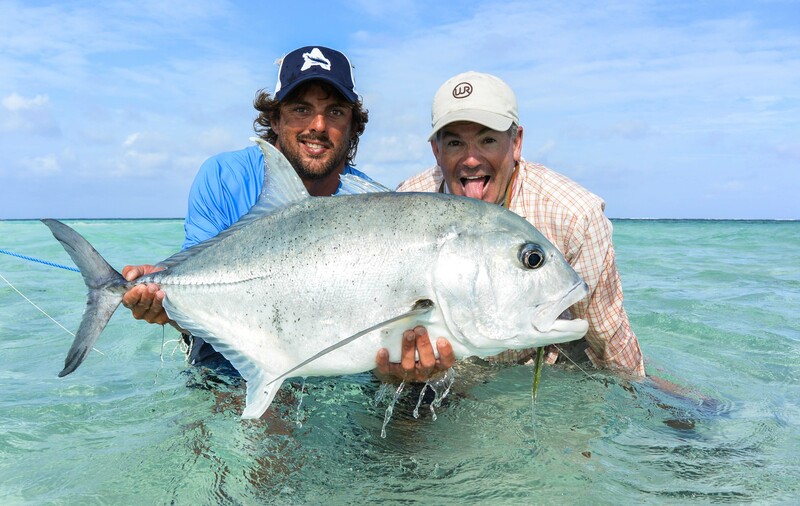 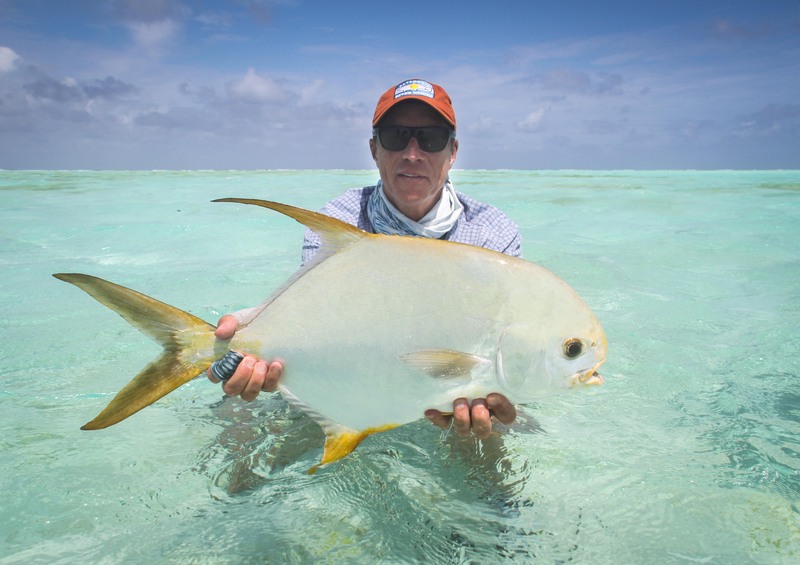 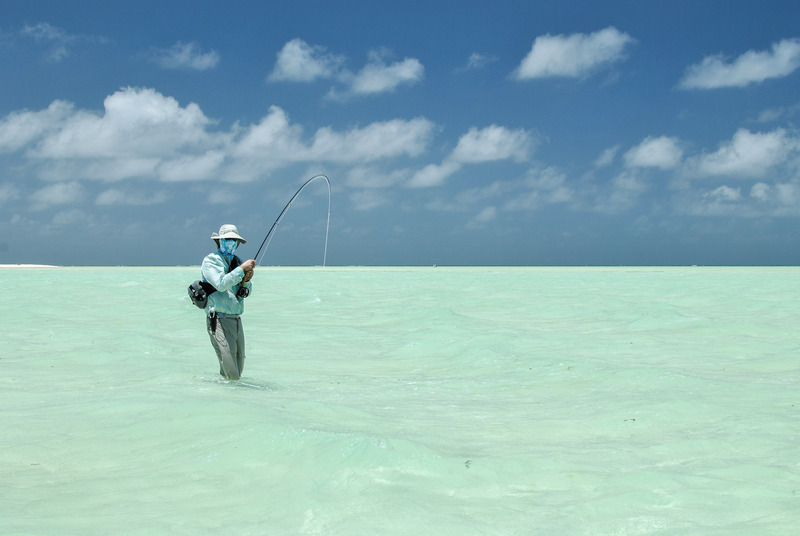 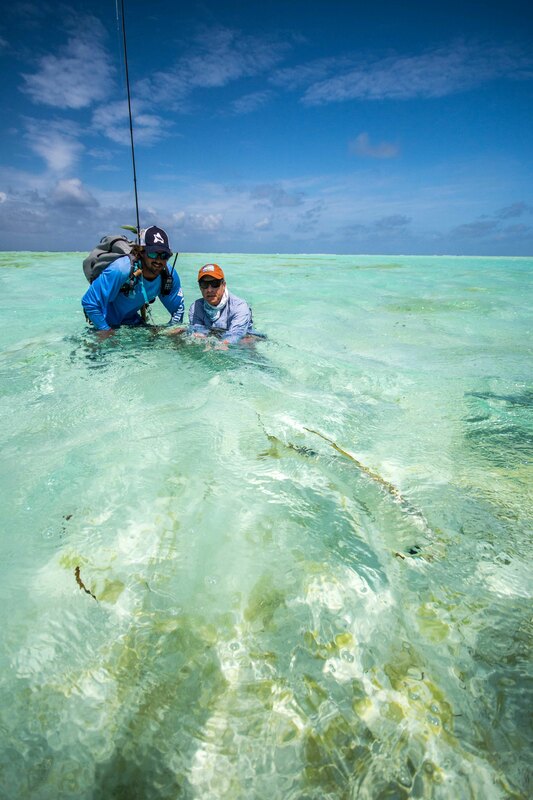 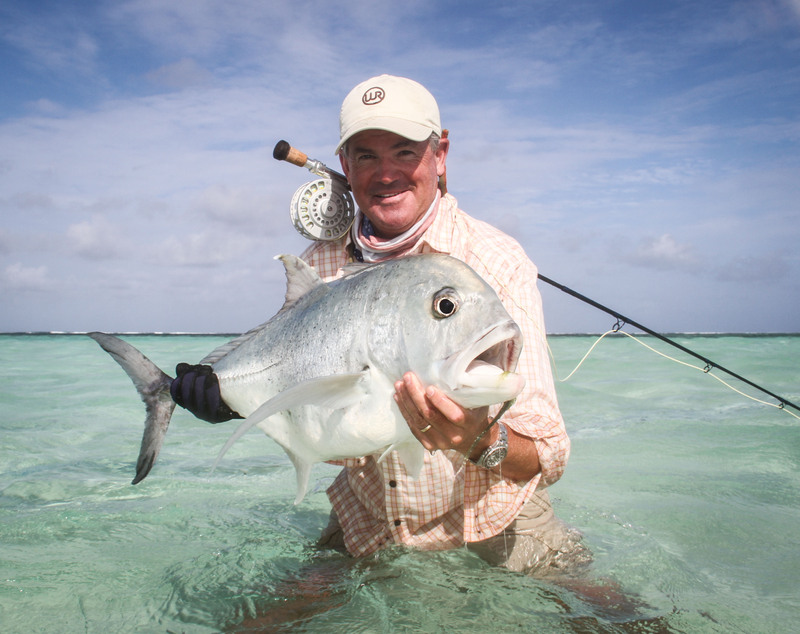 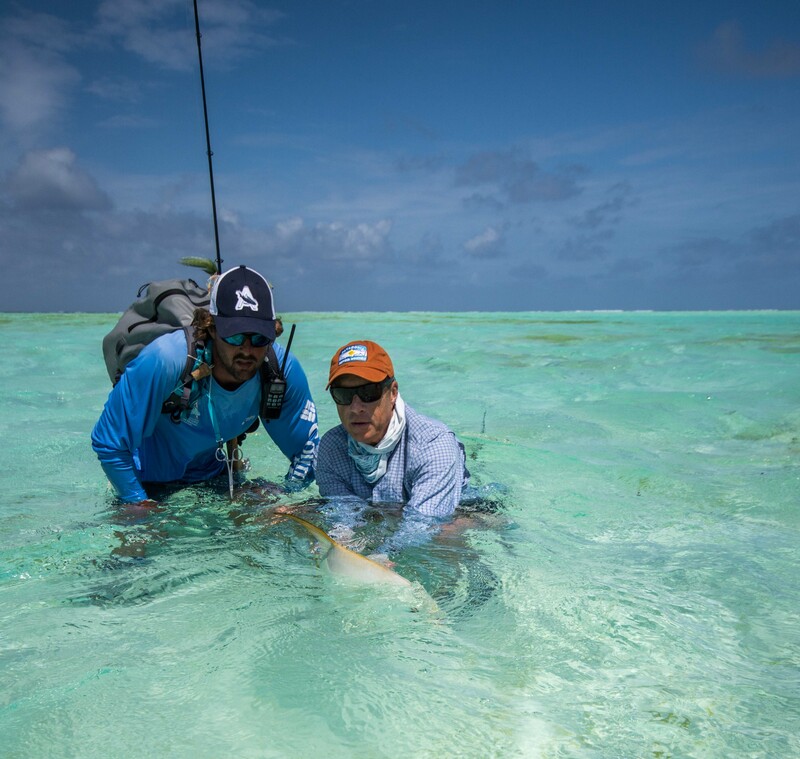 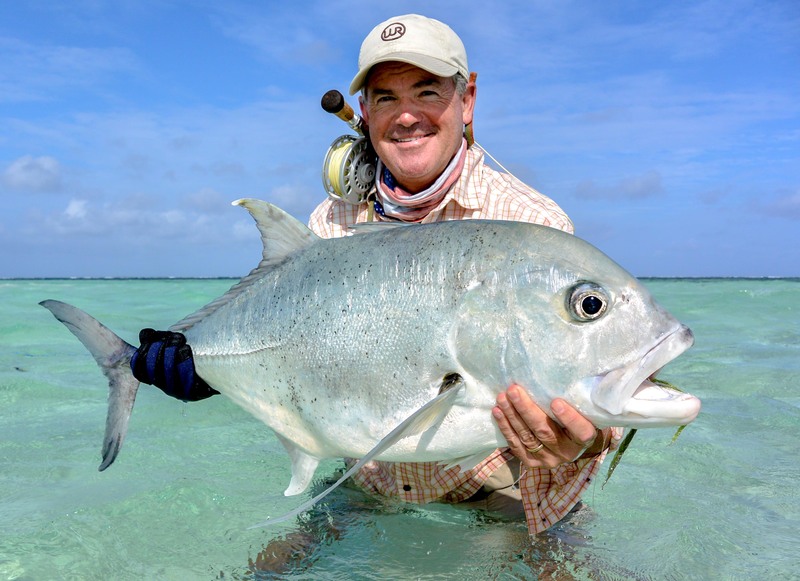 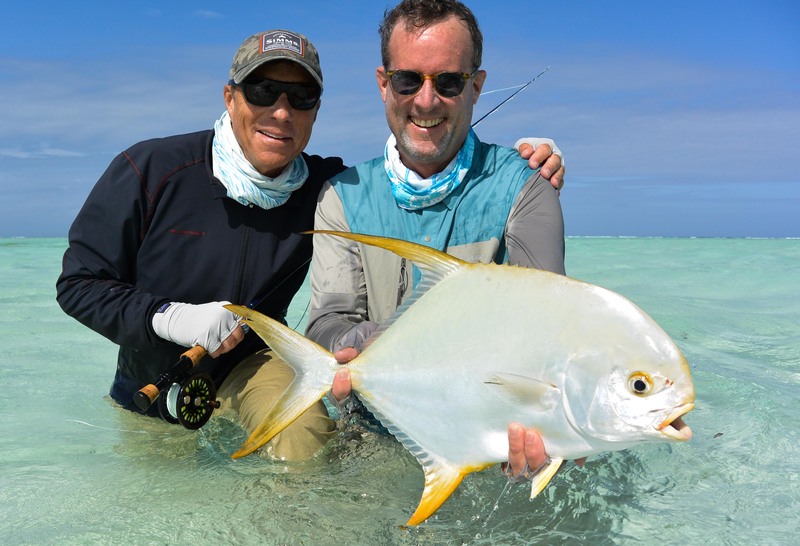 Greg Johnson did however manage to tick this box with 86cm GT, on the white sand flats. 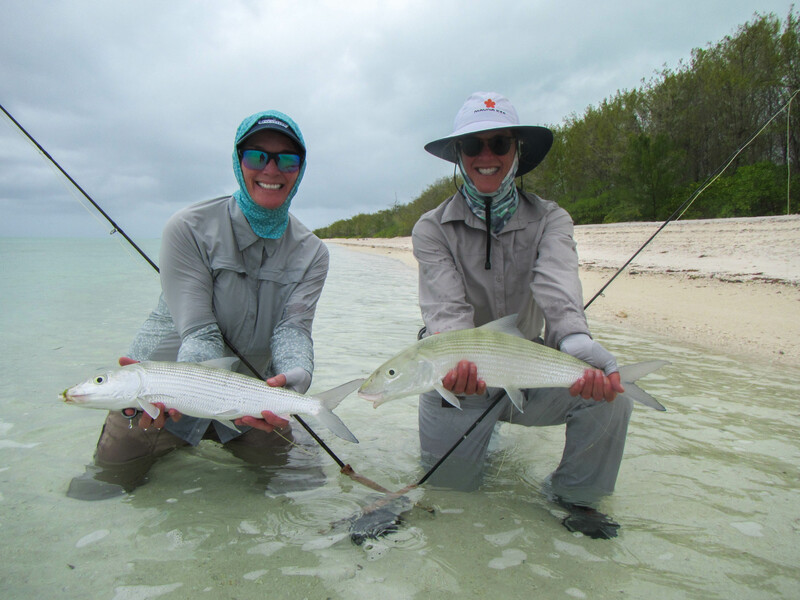 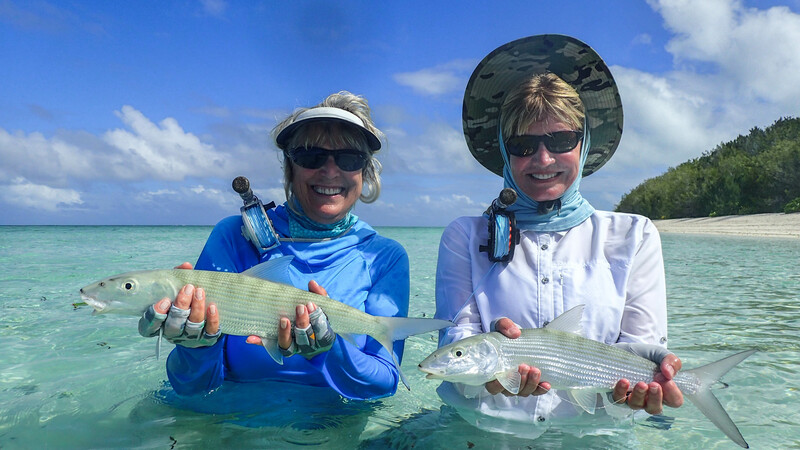 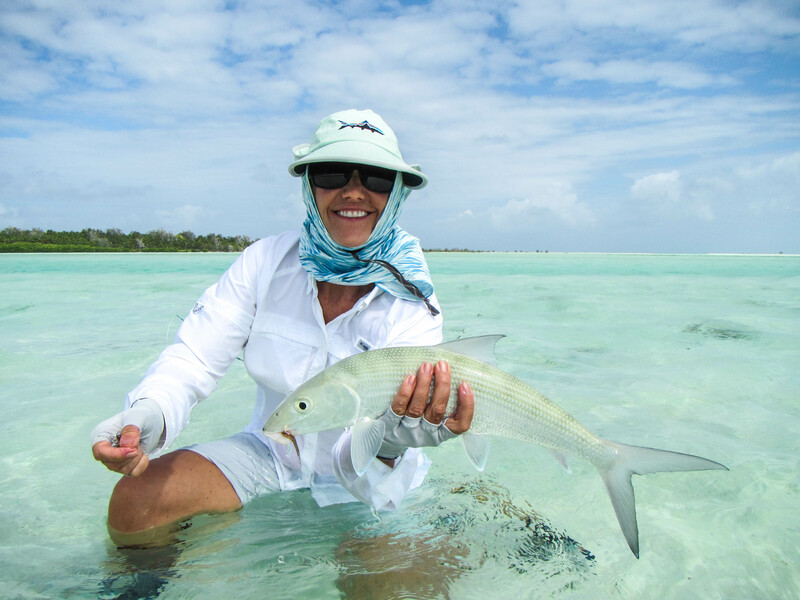 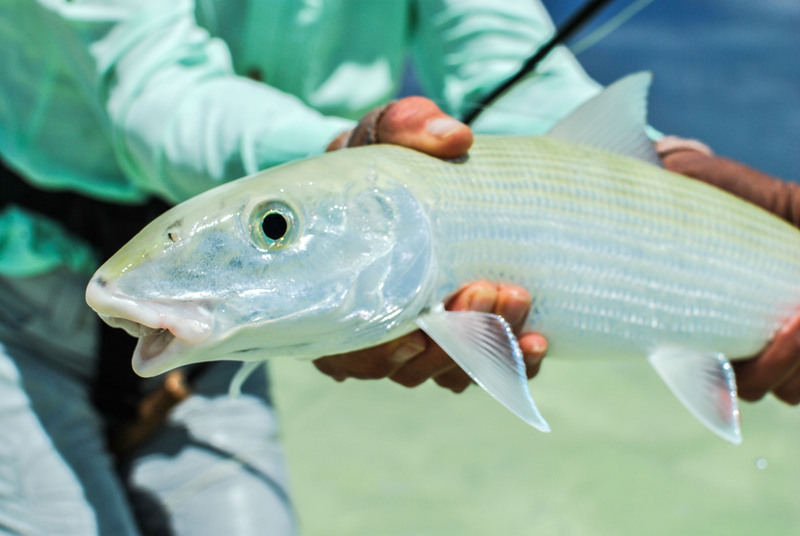 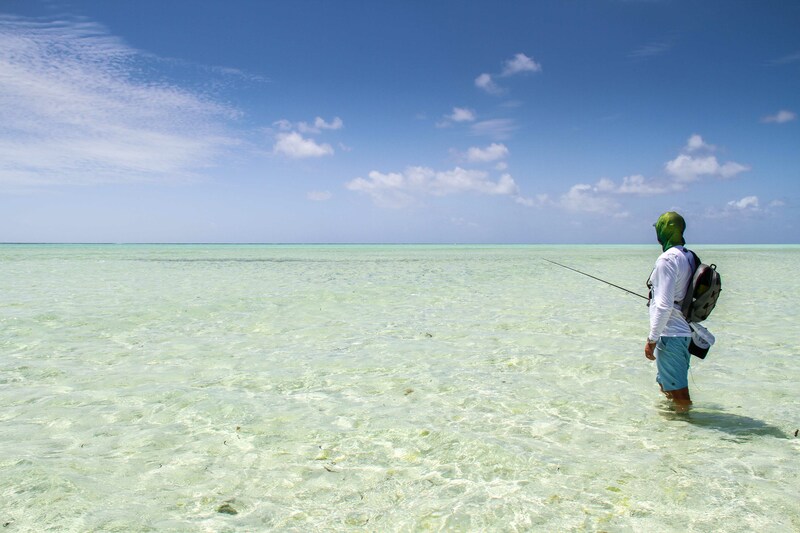 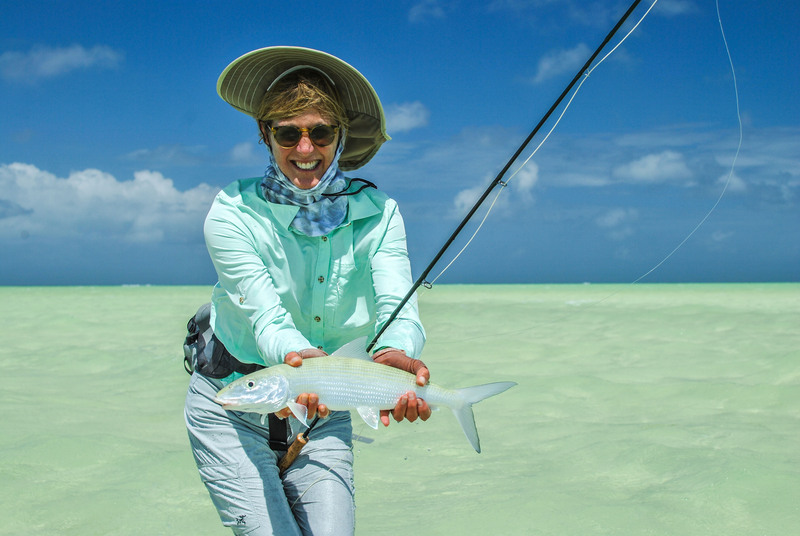 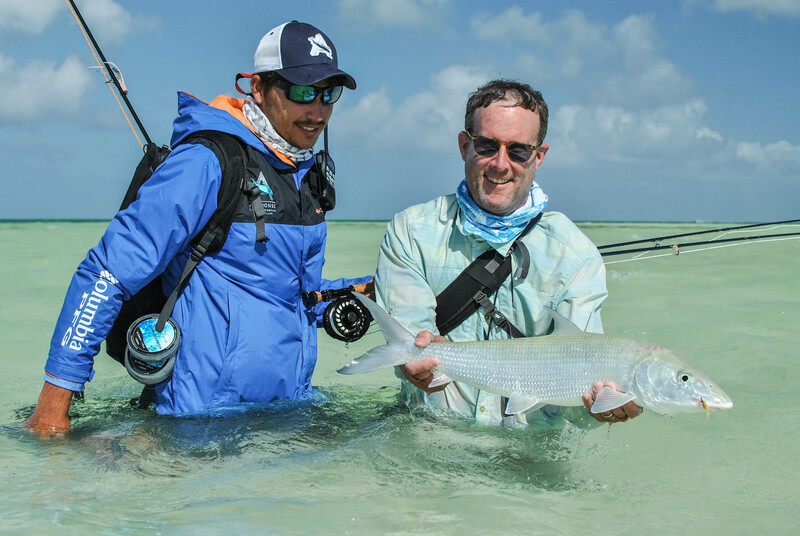 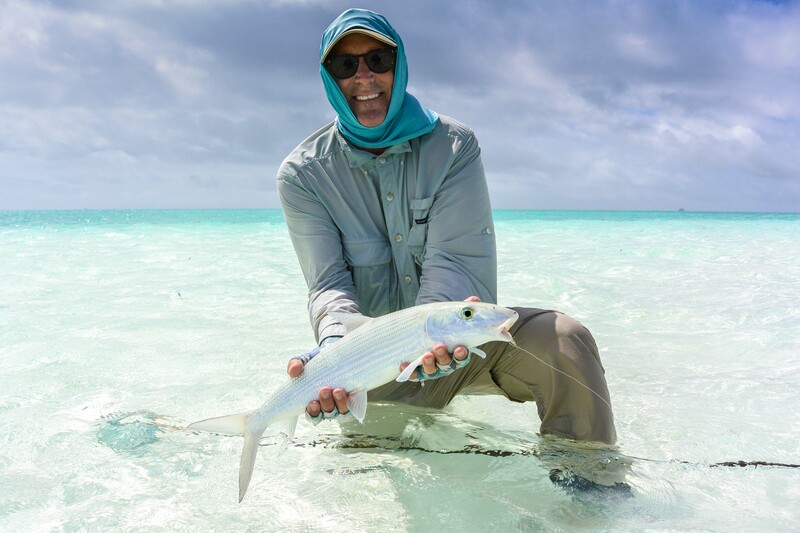 The one thing that should not go unmentioned is the immense quality of the bone fishing, with over 500 bonefish landed for the week and most of our guests joining the ’20+ bonefish in a day’ club. 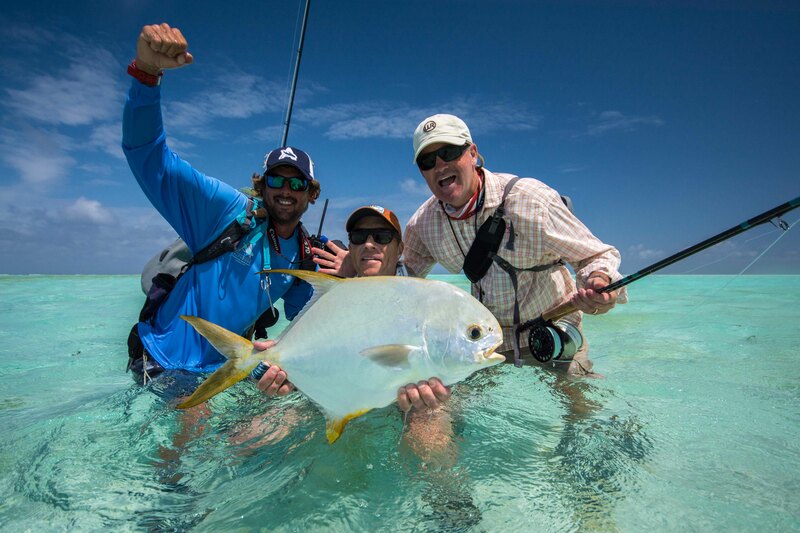 If the last two weeks are anything to go by, the rest of our season is sure to be a spectacle. 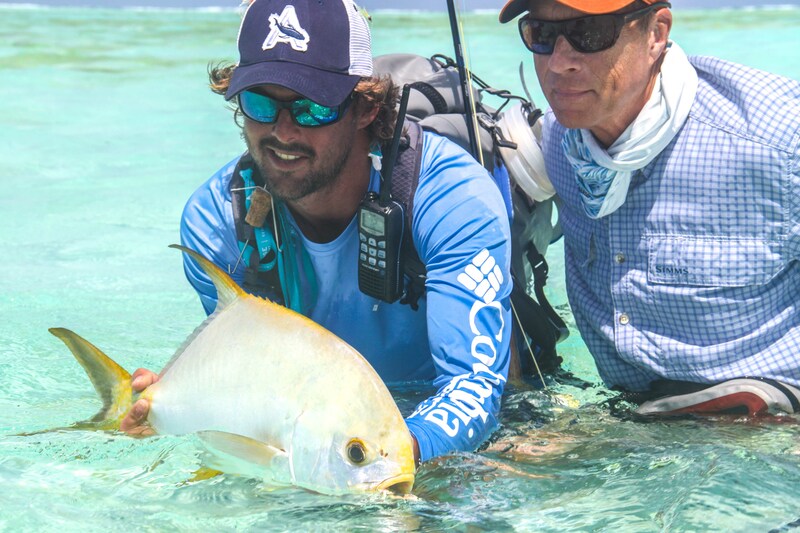 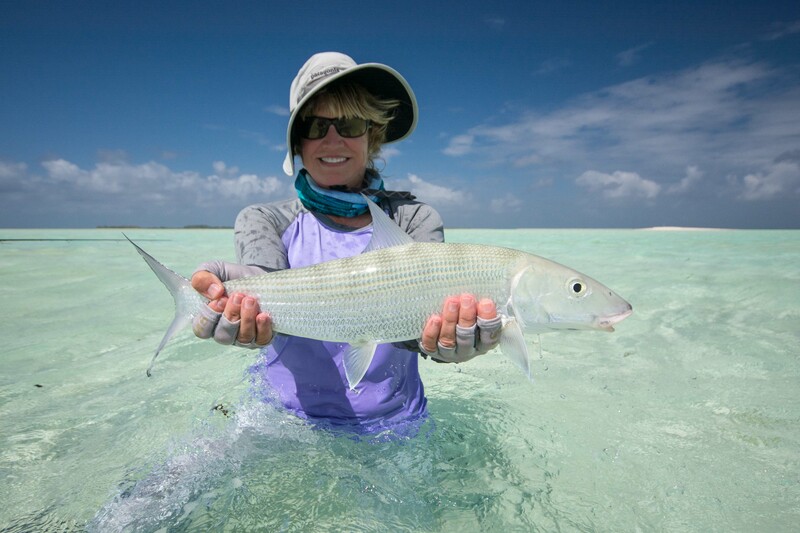 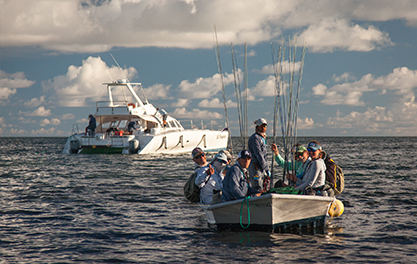 Consistency in a fishery is key, the focus to every guide to anglers day on the flats!